As we reach the half-term holiday, I am delighted to tell you, we are almost half-way through delivering books to all schools in Lincolnshire! 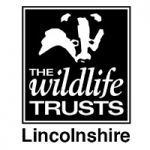 Local Area Groups from Lincolnshire Wildlife Trust, staff of the Trust, Rotary Clubs and individuals have very kindly presented books to schools in their own time. Our most grateful thanks go to all who donated to this succesful campaign. We passed our initial £5,000 target at noon today, so we now hope to raise enough to send a copy of the Lost Words to every secondary school in Lincolnshire too. Our great thanks go all those who have kindly supported this campaign so far. Our total is £4,126 due to donations by 106 kind supporters, with 4 days and 5hours to go. Wildlife author & Biologist, Dr Amy-Jane Beer, has generouslybdonated a nature-writing workshop for 6 people on Friday 31st August, in return for a pledge of £150 a head. With 7 days left to raise the last £1,930, we have a new reward! Would you like a mural for your business or home? Gorsebush have offered to paint a mural for private or business client to benefit our Lost Words campaign, for donations of £600 upwards.